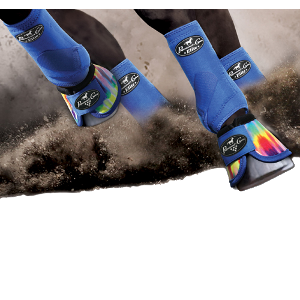 360Âº of impact protection, prevents hyperextension of the fetlock. Provides support and balance, contoured fit for easy use. Absorbs and dissipates over 26% of negative energy from hoof concussion. Several color options, sizes S-L, available as a front set, rear set, of 4 pack value set. 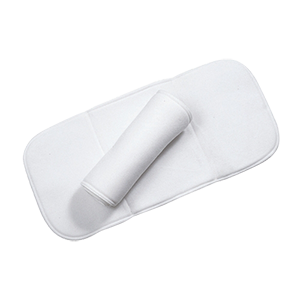 Ideal for continuous soaking when conditions such as warts, puncture wounds or other aggravated foot conditions exist. The boot also relieves pressure when signs of bruises appear. The soft pliable upper comforts the leg during use and closes tightly. The boot opens wide for easy on-off application. The durable triple-layered bottom is made of a tough polyvinyl compound making it reusable many times over. Bottom also has built-in, preformed cleats to prevent slipping. Sold each, for Small to Regular Horse. Good for treating some injuries of soft tissue and strained tendons. 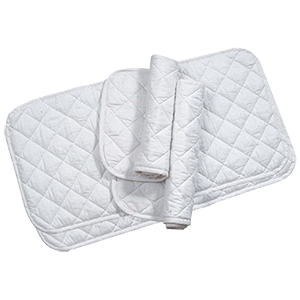 The soft texture makes it comfortable for the horse, and the ease of application makes it comfortable for the person doing the wrapping. Sturdy broadcloth cover, with a bound poly filler for strong and long lasting protection. Packaged 4 to a set. 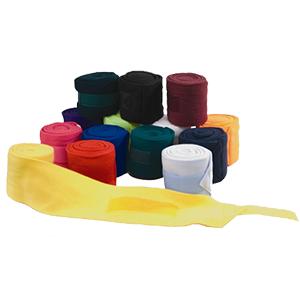 Western Rawhide Polo Bandages-Extra thick, shock resistant nylon and acrylic pile. 6″ x 8″ with matching velcro fasteners. Replacement for a lost shoe and protects the tender frog and sole. 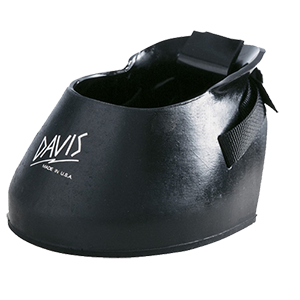 It allows the horse to walk unshod, protecting the hoof from cracks and chips. The Barrier Boot is ideal for trail riding with tender soled horses. The simple pull-on fit allows for easy application in the field without tools. 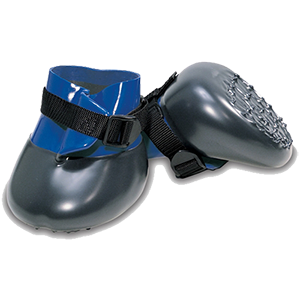 The Barrier Boot stays secure with a strong nylon adjustable strap without damaging the hoof wall.